monuments and museums are part of the great attraction of a city that you can discover using one of our bikes. Alicante has a large number of beaches that represent one of its main tourist attractions. Year after year they receive the recognition of the European Union with Blue Flags that confer them a deserved international prestige. 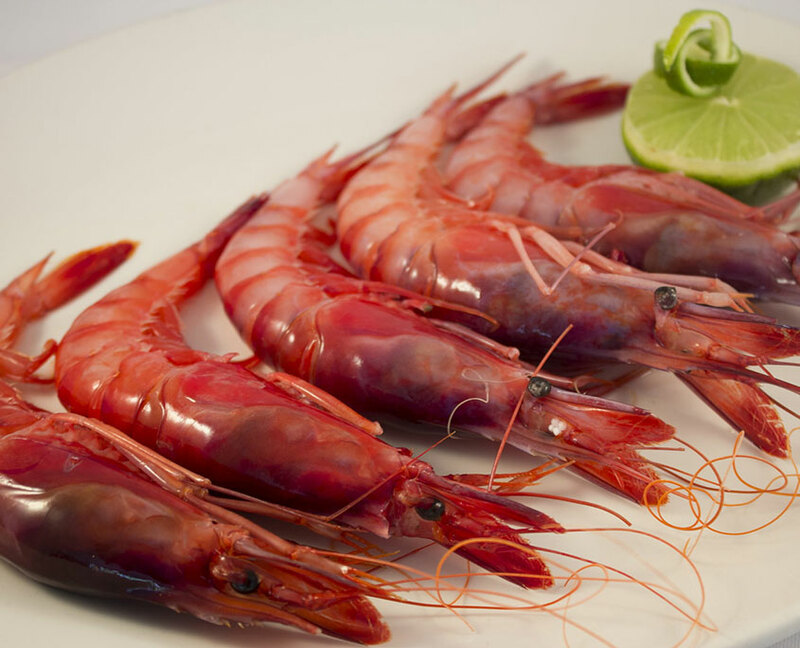 Alicante boasts of the Mediterranean Sea which in return inspires its cuisine, being succulent, varied, impressive and explosive … Whether you like a more formal dining approach or you want to try its tapas, you are in the perfect city to give your palate exquisite sensations. 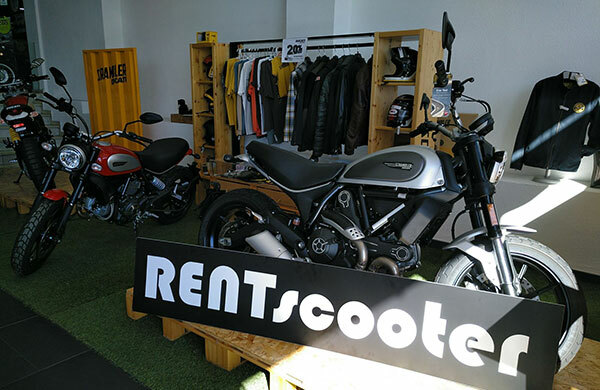 Enjoy the freedom of renting a motorcycle in Alicante. Our team will give you suggestions and indications to discover Alicante’s secret corners and its surroundings. 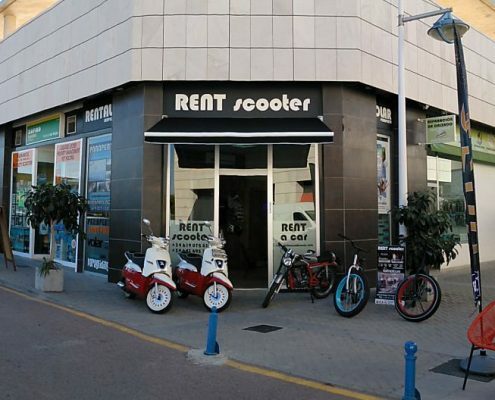 Rent a motorbike in Alicante and visit all the main attractions such as the narrow streets of the Barrio, the Castle of Santa Bárbara, the Postiguet beach, the “Copa America” marina and many other attractions. instead and make the most of your visit to Alicante. 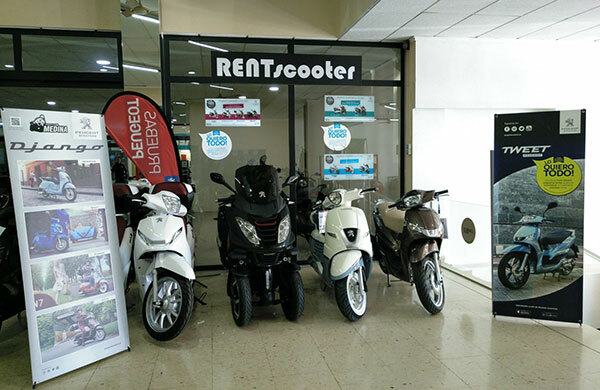 Our mission is to offer you more than a scooter rental at the best price because we want you to “enjoy Alicante as a local”. Our main collection points are the Gran Alacant Shopping Center (Santa Pola) and Motos Medina (Alicante). We can also deliver it to you at the airport or at your hotel. With an ideal mediteranean climate to drive a scooter. We can drop off the vehicle to your chosen location. Specialised service for workshops and dealerships. Discover all the secrets the city of Alicante has to offer with the most pleasant vehicle rental service and at the best prices you could find! Alicante is full of contrasts: tradition and culture, sea and city. Also, this city offers a wide range of tourist possibilities, and riding a motorcycle you can discover with total freedom all its corners that a conventional tourist could never reach so easily and quickly. The coast of Alicante is full of contrasts, due to its orography and climate. 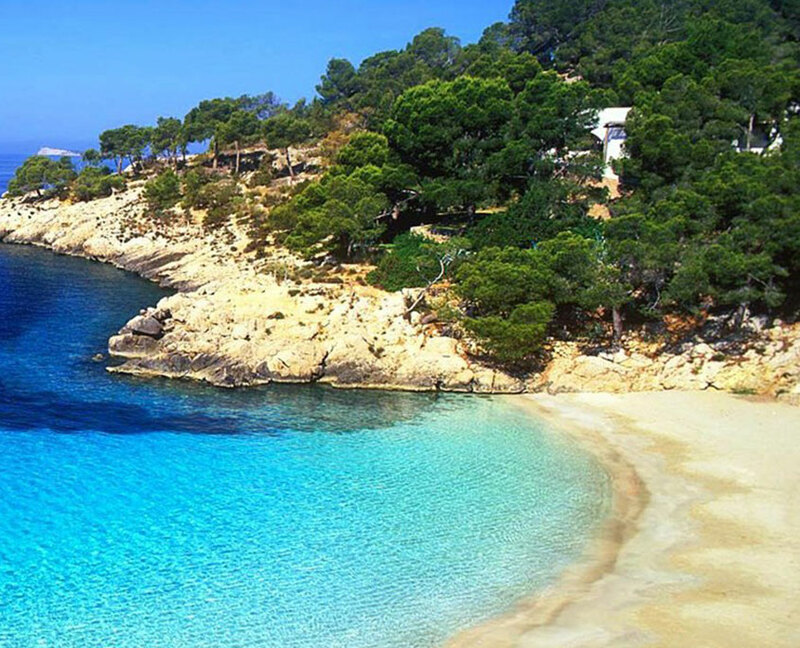 You will find sandy beaches and rocky coves with crystal clear waters. We can also enjoy areas surrounded by water and vegetation north of the province or semi-desert areas a few kilometers to the south. Meet all these corners with the agility of a motorcycle. 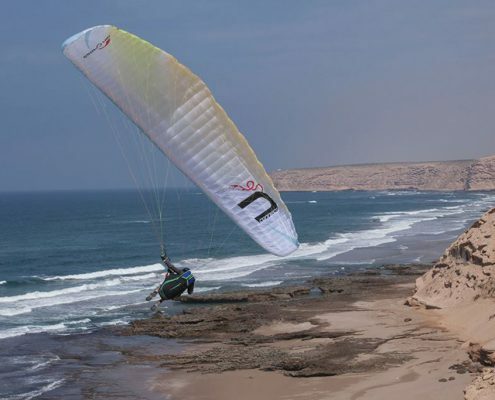 Alicante is one of the most tourist provinces of our country and apart from the already well-known offer of Sun and Beach these also offer sport alternatives such as paragliding, kite surfing, diving or sailing sports. With more than 300 sunny days per year and an enviable microclimate in the rest of the European community, the most accessible, dynamic and fun means of transport to enjoy its sporting potential is with a Scooter. The gastronomic tourism is booming, Alicante attracts more and more travelers visiting the province in order to enjoy the richness of its gastronomic products. More and more people are visiting the Alicante Costa Blanca from everywhere in the world to savor and enjoy its cuisine. If this is the main reason for your trip, rent one of our bikes to taste its great variety of seafood and rice dishes.